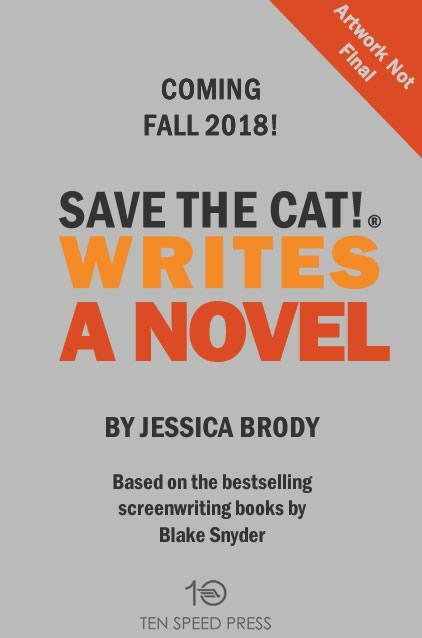 Jessica Brody | New Book Deal: Save the Cat! Writes a Novel! I can’t believe this is actually happening! I’ve been in talks with the lovely people at Blake Snyder Enterprises for over TWO years about writing an installment in the Save the Cat! series geared exclusively toward novelists, and now it’s FINALLY real! Last month, we sold SAVE THE CAT! WRITES A NOVEL to the amazing Ten Speed Press (A Division of Crown/Random House) for publication in Fall 2018! Author and Save the Cat! workshop instructor Jessica Brody’s SAVE THE CAT! 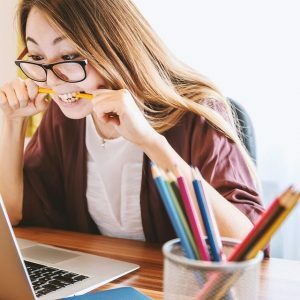 WRITES A NOVEL, the first-ever novel-writing guide from the beloved Save the Cat! screenwriting and storytelling series, to Lisa Westmoreland at Ten Speed Press, at auction, by Jim McCarthy at Dystel & Goderich. **Excuse me while I scream again! ** GAH! I’m so freaking excited to bring you guys this book and to share all the wisdom of Save the Cat! with other novelists. I’ve been using Save the Cat! for over ten years to help me plot my novels and it has been a complete life changer for me. In fact, it wasn’t until I found Save the Cat! back in 2006 and first started using it to plot my novels, that I actually SOLD a novel. Until then, I’d received the same feedback from agents and editors over and over again: “Great voice, no story.” Because clearly I didn’t truly understand what “story” was. Until I found this methodology. Since then, I’ve sold over 15 novels for teens, tweens, and adults, and I owe it all to Save the Cat! Here’s a bit more about the new book and the existing books in the series. Also, you can visit SavetheCat.com to learn even more! SAVE THE CAT!® by Blake Snyder is a popular screenwriting book series and storytelling methodology used by screenwriters, directors, and studio execs across Hollywood. 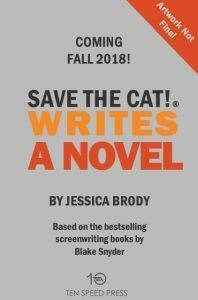 Now, for the first time ever, bestselling author and writing teacher, Jessica Brody, takes the beloved Save the Cat! 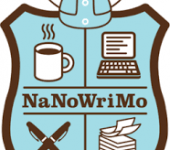 plotting principals and applies them to the craft of novel writing in this exciting new “workshop style” guide, featuring 10 full beat sheets from popular novels. But above all else, SAVE THE CAT! WRITES A NOVEL will help you better understand the fundamentals and mechanics of plot, character transformation, and what makes a story work! WHAT IS THE SAVE THE CAT! METHOD? At the heart of all three existing screenwriting books in the SAVE THE CAT! series is the Blake Snyder Beat Sheet, or commonly referred to by insiders as “The BS2.” This is the “soul” of the Blake Snyder methodology. The BS2 breaks down every great story ever told into three acts, and furthermore into 15 “beats” or plot points that map out a compelling story with a satisfying character arc. *You’ll also be signed up to receive additional novel beat sheets which will be released (only to subscribers) between now and publication of the book, plus special coupons for Jessica’s online writing workshops, updates on the book, and more exclusive content for writers! This is so exciting! I read the first SAVE THE CAT! but never managed to get my hands on the rest of them. Then again, I’m not really into movies, but your SAVE THE CAT! WRITES A NOVEL sounds just fabulous. Thanks so much!! I’m glad you like the kit and I hope STC WRITES a NOVEL will help you with your writing too. Blake would be SO PROUD OF YOU!! I sure am!! You and Alyson introduced me to STC (I think you might have introduced it to Alyson) and I can’t thank u enough! I can’t write a book without it. 🙂 Yeah! Another STC convert! I’m glad it’s working for you. And thanks again! I loved the class when I took it and have incorporated STC principles in my writing. The class helped me greatly with my novel. This is exciting news. Congrats! I’m certainly buying the book! Thank you! Did you get the free starter kit from my site? 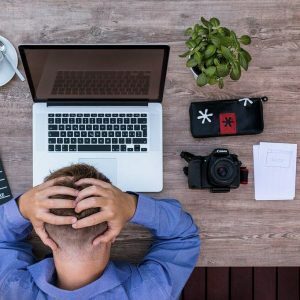 It will help you get started before the book comes out, though it sounds like you are doing well with STC already! I’ve always had trouble trying to apply the STC methodology to my novels. This sounds like just what I need to make it finally click. I hope so! It has worked so well for me! Just (yesterday) rec’d the STC email about the new book and course plus this offer. However, when I checked what appeared to be the link on your site it was not working. If this offer is still available I’d really appreciate it. Thanks, it looks great and I’m looking forward to the book next year.